Good news: It's under $20! Getting organized doesn't have to be about major purges — sometimes, it's the little things. In this case, the little things are glass jars that transformed my kitchen counter. I was inspired by Ina Garten and Khloe Kardashian, who both share an affinity for this genius kitchen hack and use large glass jars to store go-to ingredients and snacks for easy access. The glass jars I found come in half-gallon, 1-gallon, and 2-gallon sizes for all your storage needs and once you adopt this system, you'll never go back. Also available at Walmart, Sur La Table, and Target. 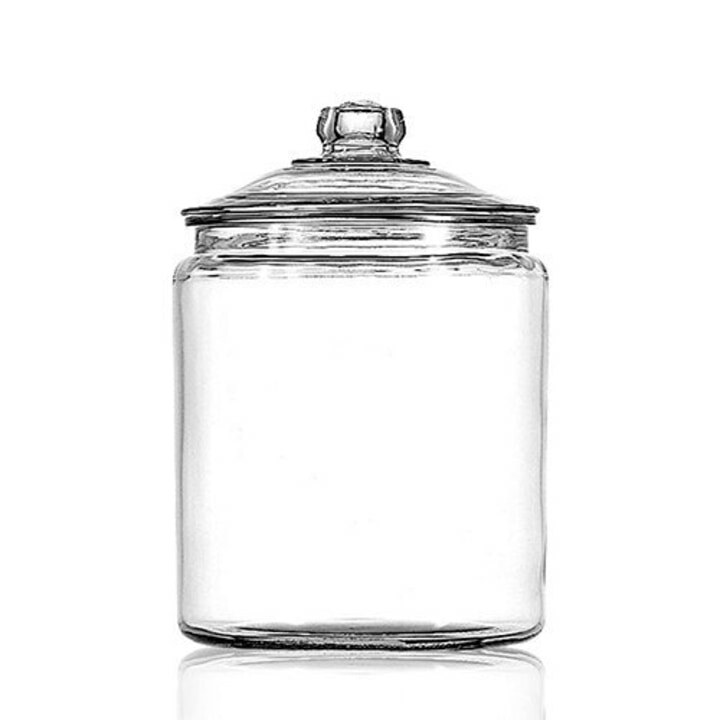 Fans of Ina Garten, aka the Barefoot Contessa, know she keeps large glass jars out on her counters— so if they're good enough for her fabulous Hamptons kitchen, they're good enough for ours, right? They also have plenty of other fans too. 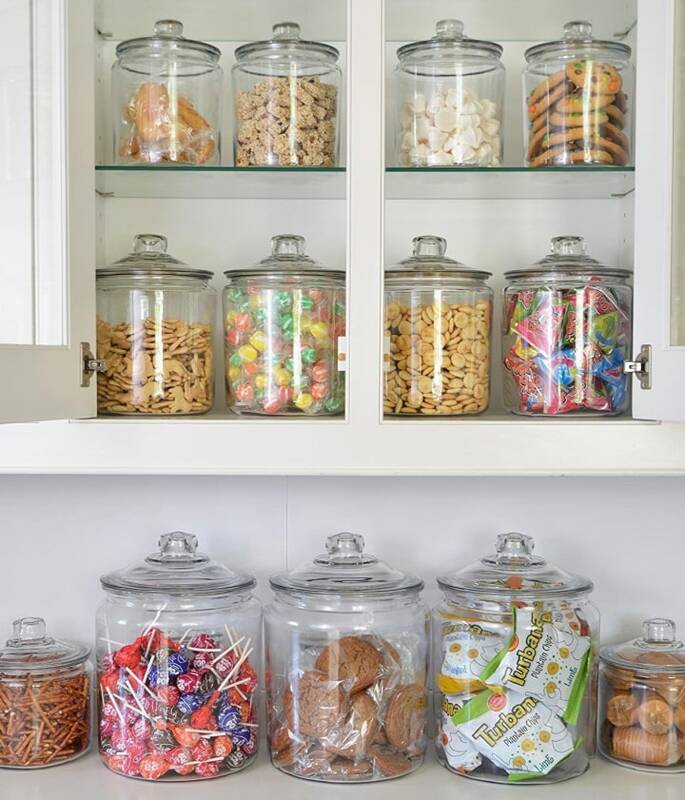 Khloe Kardashian uses glass jars to store her Oreos, and former Real Housewives of Orange County star Heather Dubrow showed similar jars off when she gave TODAY a tour of her hyper-organized pantry. Plus, they're versatile enough to fit in with pretty much any kitchen style: modern, rustic, traditional, you name it. You can easily dip even large measuring cups inside the wide-mouthed jars, making them perfect for flour or sugar. Plus, there's no annoying latch on them. And the clear sides make it easy to see how much you have left — no more running out of ingredients mid-recipe. Personally, I use a 1-gallon jar, which stores a 5-pound bag of flour, and a half-gallon jar, which stores a 4-pound bag of sugar exactly. I can dump the entire bag in without being stuck with a leaking, half-filled sugar or flour bag in my cabinet. Once I use up all the flour or sugar, I run the jars though the dishwasher and they come out sparkling clean — unlike many canisters, which have labels or materials that make them hand-wash only. I've used the Anchor Hocking brand for years and they have a heft to them that makes them feel way more expensive than they are. You can get smaller sizes starting at just $10 from Sur La Table. And if you prefer the 1-gallon size, Amazon offers 2-packs for only $28.